All the property management contracts differ, so it is necessary to read it carefully to understand exactly the terms you are approving. · What services you will receive? · What costs will be incurred? · What are your rights? The role of this contract with La Jolla Property Management Company is to eliminate confusion and build a good rapport. This can help both to work smoothly in unforeseeable circumstances, where disputes can possibly arise. 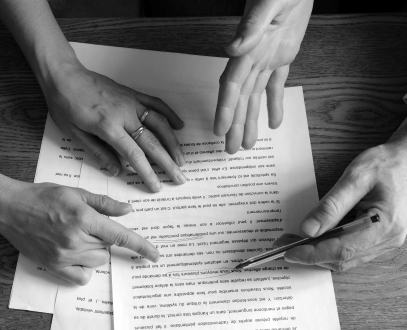 Reading the fine print may be a boring task, but this can lead to misunderstandings related to services and fees. Positive impression about the company’s professionalism and ethics can distract you and make you drop your guards, while reviewing actual contract terms and conditions. · What are the services that can be attained for an extra fee? · What services will never be carried out under any circumstances? Look at the fees structure of 2 to 3 managers. If one charges 5% management fee and the others charge 7%, then don’t avoid the latter one. Read the quotes in detail to find out what is included. The former manager may not be considering the extras fees for services, which you will absolutely need. This part of the contract defines the obligations and restrictions of property owners. · Example of obligations - For maintaining proper insurance, the agreement needs to mention in detail about the kind of insurance and coverage amount they need you to obtain. · Example of restrictions - Most of the contract will prevent property owner from selecting tenants themselves. A section needs to say that they sustain equal housing opportunity and abide by federal and state housing laws. This portion limits property manager’s legal responsibility. Generally, it protects property manager excluding negligence on their part. However, the property manager will be responsible for the hired third parties carelessness. Avoid signing a long contract until you obtain good results and confidence from the management company. However, majority of managers do not sign an agreement for less than one year. Therefore carefully evaluate the termination clause and ensure that you can cease their service agreement, if you are unsatisfied. The cancellation or termination clause must be very clear. It should state clearly when and why the property manager can terminate the agreement and when the property owner can end the contract. Usually, a contract termination notice is given with a time limit between 30 to 90 days. However, you will have to pay terminating charges for ending the contract early. This charge can vary significantly. In case, the property manager desires to cancel the contract from their end, then ensure that you get one month notice. The duties that need to be undertaken upon termination must be slated clearly with time. Hire an advocate to review the agreement, if you want to ensure that you are not missing anything. You need to take part in a contest for one of the greatest websites on the web. I am going to highly recommend this web site!